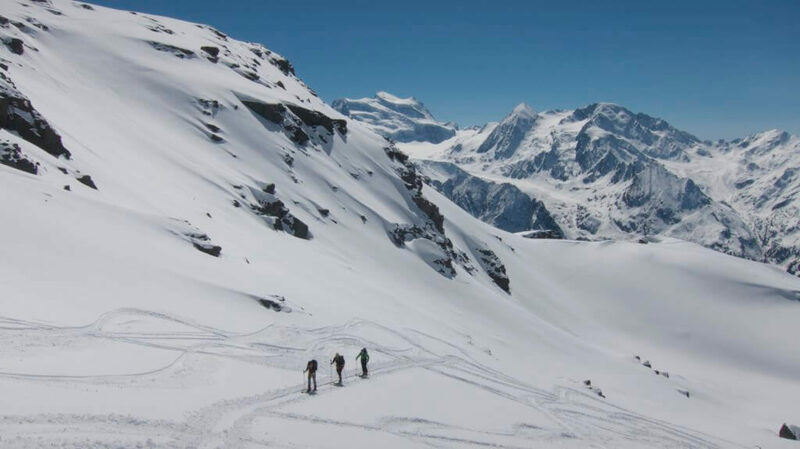 This six day Ski tour on glaciers for the most part, offers exceptional beauty of the landscapes. It traverses the crest of the Western Alps and passes through some of the most stunning mountain scenery in Europe. 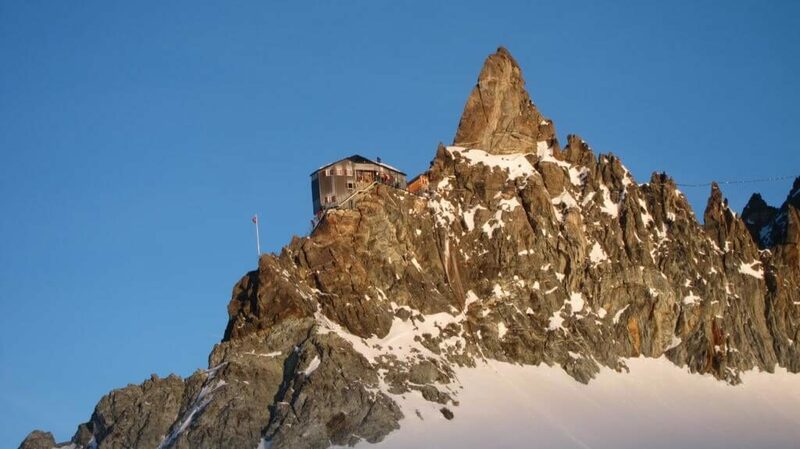 We start in Chamonix, at the foot of Mont Blanc and ski across the Wallis glaciers of Switzerland. 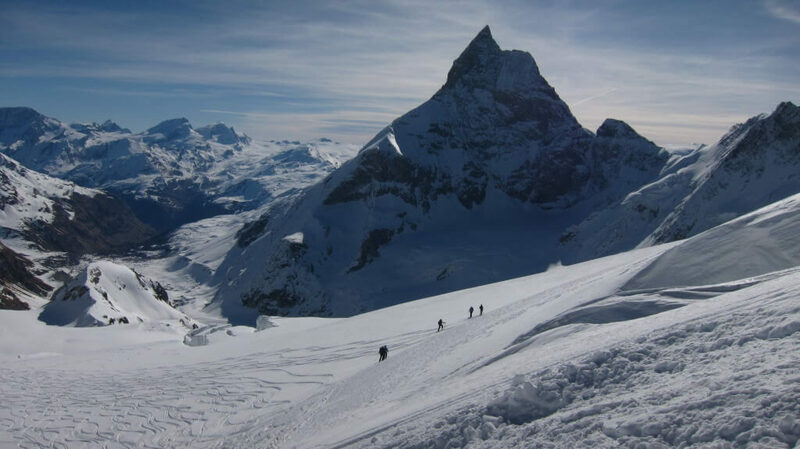 The tour ends with a unique ski descent on the foot of the Matterhorn down to Zermatt. This spectacular tour can be done in many different ways. 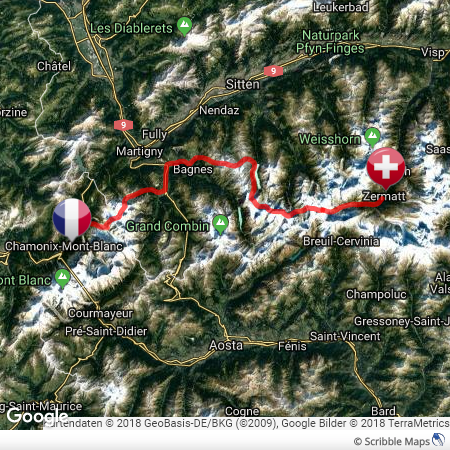 Adding more peaks or changing tour route with other huts. Please contact us for more informations. *We strongly recommend the purchase of a cancellation, accident, travel insurance. 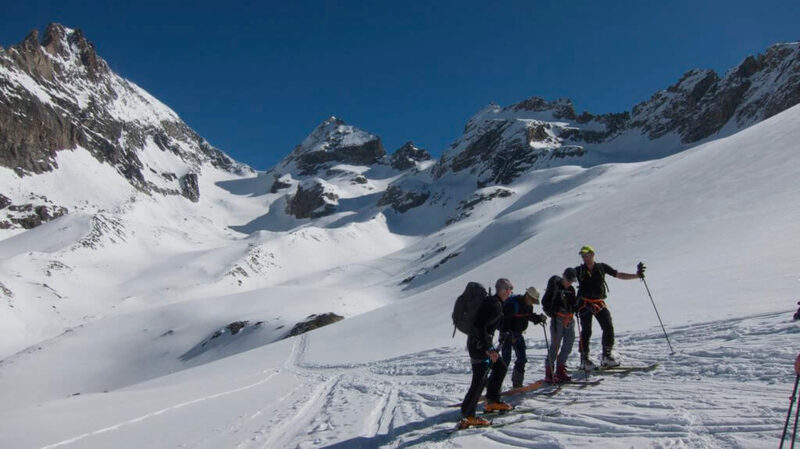 This trip is for experienced ski tourers who have already done at least one hut-to-hut tour or a multi-day ski tour. You should be able to skin up to 5 hours with up to 1100m vertical gain per day, at a good steady pace. Efficiency in your skinning technique and confident moving over a steep and exposed terrain should be no problem. 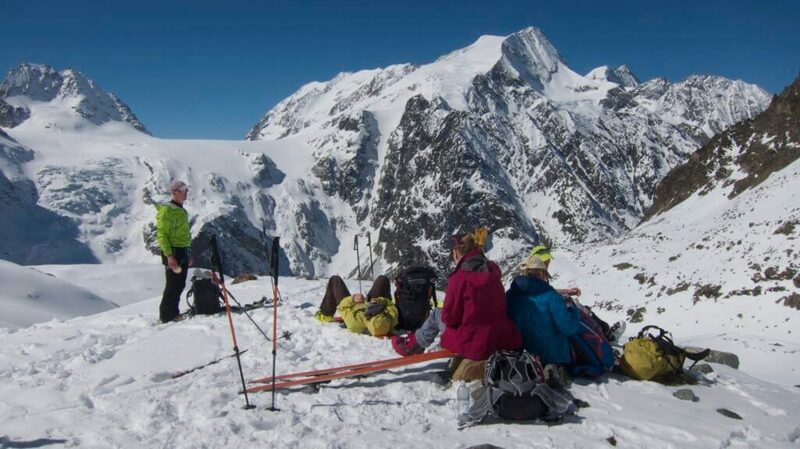 You are expected to be comfortable and safe doing kick turns on slopes of over 35 degrees. Are you an excellent off piste skier, confident and efficient in skiing in all snow conditions without losing control over your skis? Skiing on slopes of 40 degrees is not a problem of you? You should be physically fit, ready to hike and ski for up to 8 hours per day without being too tired the next day. You have to be able to move reasonably fast (climb 400m/h). 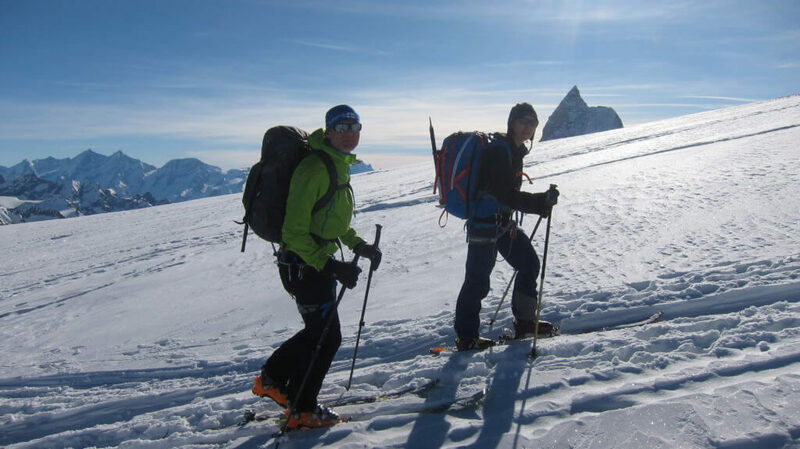 Why not benefit from your fitness and acclimatization and climb Mont Blanc with skis following your completion of the Haute Route? Take a look at our program!